Convenient way to fit self-reflection into your daily life. 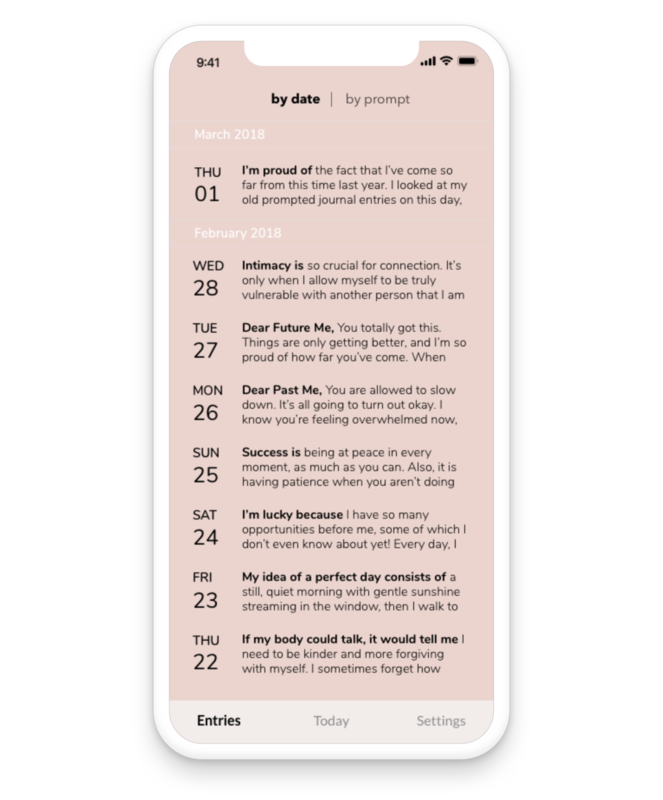 Our carefully crafted prompts take away the struggle of thinking of things to say, require little time commitment, and help you understand yourself so you can better steer your life. Take 10 minutes a day to reflect on your journey. Journaling doesn't have to mean recounting the mundane events of the day. Reflect on an interesting prompt every day on your subway ride, or over your morning coffee. The same prompt comes up about every 4 months. See how your thoughts on important topics (e.g. "Happiness is...", "If I knew I could not fail, I would...") evolve overtime. Be your own best friend...cheerleader, therapist, spiritual guru, etc. We made it easy to implement well-intentioned advice like “Love yourself,” and “Be your own best friend.” Reflect on your hopes and desires, and really listen to yourself like a best friend would. Get to know yourself from many angles. Make the most out of your me-time. The same prompt recurs every 3-4 months. Ask yourself the big questions regularly and discover how you change. We have 100+ curated prompts ready to go, with 40+ optional prompts you can easily add. Instantly generate a PDF of all your entries. 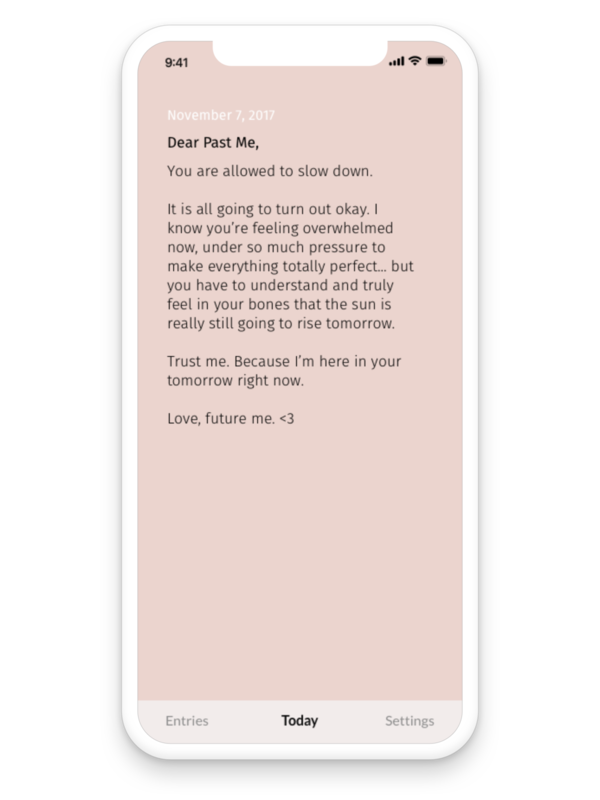 Email it to yourself, save it to your device, or print it out anytime you want. Stay well, darling. We hope our apps help ease your road to becoming all that you are meant to be.